Now in its 27th year, the campaign has raised nearly $4 million for Easterseals Southern California. The coupon books are still just $1, but contain more than $428 in value with free and discounted deals from Baker’s, along with other businesses including Aquarium of the Pacific, Catalina Express, Fiesta Village, Krispy Kreme, My Delight Cupcakery, Scandia Amusement Park and Sky Zone. A full 100% of sales benefit local Easterseals — apparently now one word — services. 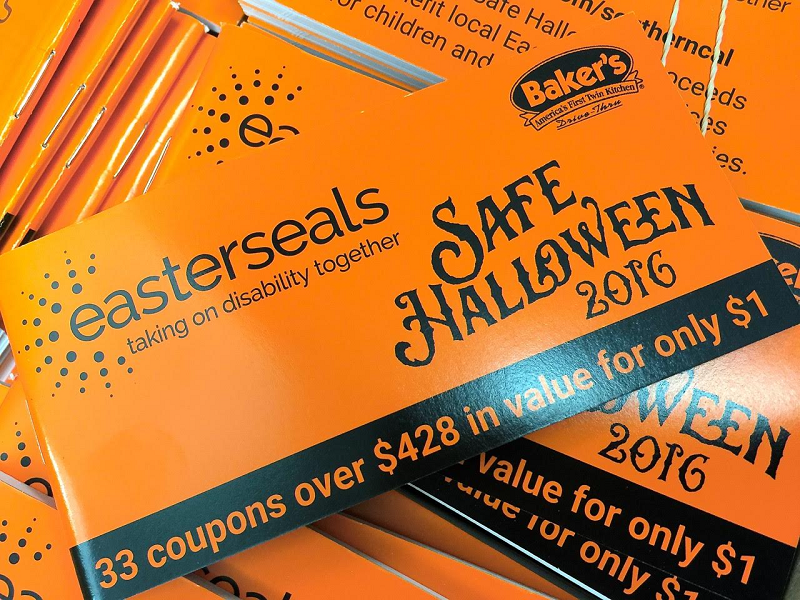 The coupons are available at all Baker’s Drive-Thru restaurants through midnight on Halloween, while supplies last. This entry was posted in Uncategorized and tagged deals, free stuff, fundraisers by John Plessel. Bookmark the permalink.